Startup leadership skills are fundamental to achieving a business’s goals. Successful startup leaders do what it takes to establish an integrated team that is motivated to work together toward a mutual goal. For a startup leader, this means encouraging open communications and providing leadership by example. A team-centric environment goes a long way toward creating an inclusive workplace culture that is best suited to growing and scaling a business more quickly. Managing a startup team and trying to make sure everyone is happy isn’t easy, especially while you’re navigating the common obstacles that all startups experience—mistakes are made, deadlines are threatened, and people wig out. Luckily, there are pre-emptive measures you can take and skills you can practice if you’re new to startup leadership. Every new startup leader can benefit tremendously by taking advantage of mentors and harvesting relevant information from the volumes of online blogs and articles on the subject, written and published by startup veterans offering valuable tipis and insight. As a startup founder, it’s important to possess leadership skills that will help you build strong relationships with team members. After all, they”re the ones who will be helping you grow and scale your business from inception to market and beyond. Encouraging an entrepreneurial culture in the startup workplace should be a given. 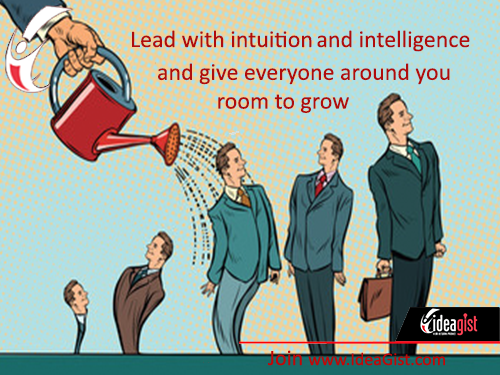 It helps drive innovation by providing a fertile atmosphere in which your team can grow and flourish. Studies show that companies that foster an entrepreneurial culture are more successful than their counterparts. Their teams operate with the business’s best interests in mind. Startup leaders who encourage an entrepreneurial energy understand that the company’s success is his or her success. The fundamental nature of startup leaders and their teams is to be part of something greater than themselves, and entrepreneurship is a perfect outlet for achieving their goals. When it comes to effective business leadership, strong communication skills are important and active listening is a critical element in business communications—In fact, listening is half of a successful conversation. Active listening skills serve multiple interests for business owners. Paying close attention when your team offers information and feedback, and responding with relevant questions will encourage them to provide frequent status updates to keep you up-to-date on the relevant goings-on. On the flip side, overlooking or disregarding input or feedback from staff is akin to throwing the baby out with the bathwater. While active listening requires the ability to distinguish and filter the valuable input staffers offer from the extraneous (without displaying annoyance or criticism), it’s an excellent skill to develop. Active listeners can gain valuable insight by encouraging conversation with team members. If you’re not promoting an atmosphere that supports open and reciprocal conversation, members are going to hesitate to even start a dialog if they’re not sure how receptive you’re going to be. Look at it this way: who do you want making decisions about what information regarding your business is important, your staff or yourself? Remember, you hired each member of your team for their unique skills and expertise. Plus, they’re fully invested in accomplishing your goal of building a successful business, which means their intuition and observations are focused on how best to achieve that goal. Here’s another reason for startup leaders to master active listening techniques: studies have found that employees who feel that their input is acknowledged and valued are more productive, take fewer sick days, and stay loyal to the founder from the early development stage to launch and beyond. Sharing all company news—the good, the bad, and the ugly—with full transparency goes a long way toward gaining the trust and loyalty of your employees. In fact, by transparently sharing information about the business’s growth, scaling capability, and strategies for both with their team, startup leaders can keep members reassured that their efforts are paying off, or to address a problem and initiate a collaborative root cause analysis and rap session to decide what corrective action to take. Making the effort to talk with your team daily and share information transparently gives founders an edge when it comes to leveraging their team’s expertise to drive the business closer to achieving your common goals. Most startup team members are hired for their expertise in a specific area, such as product development, marketing or budget management, so it’s not uncommon for them to withhold insight that may benefit another department to avoid ruffling feathers. But startups are all about disruption, so there should be no better environment for team members to feel comfortable sharing their unique perceptions and getting out of each other’s way to do so. Innovative people don’t perform at their best when they feel stuck in a box that requires them to ration their creativity. Amazing things happen when innovators are given the freedom to spread their wings; flexibility is a great policy when it comes to avoiding the failures created by limited thinking. Find out how to maximize your startup’s growth potential with IdeaGist’s virtual online incubator. The experts at IdeaGist help founders and their teams grow and scale a business to achieve their startup goals. Visit IdeaGist to learn what we do and how we do it.